Late Bloomer. 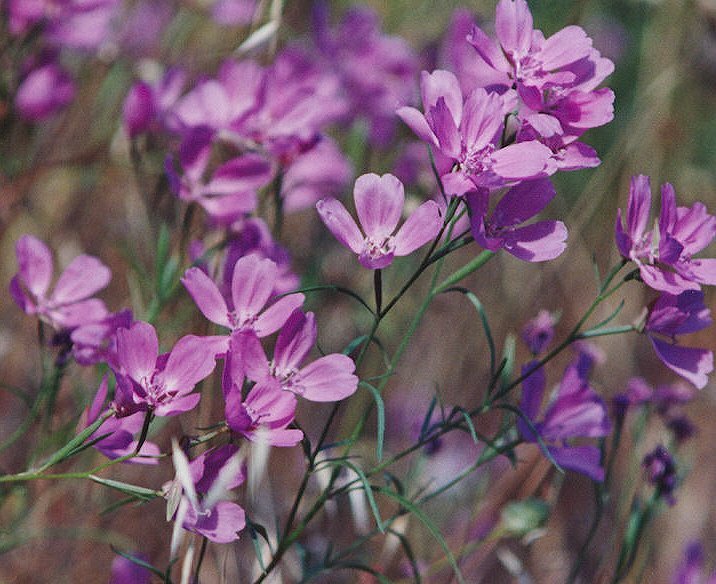 Four pink petals, each divided into 2 equal lobes, erect stems, grows on dry open slopes, grassy areas. Notes: Evening Primrose family, four-petaled, pink, with each tip bilobed. Species Clarkia biloba (Dur.) A. Nels. & J.F. Macbr.